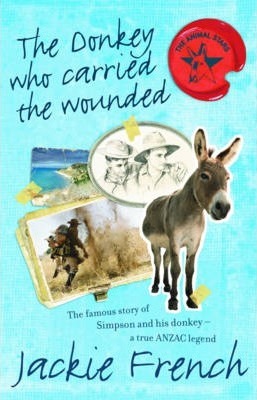 Most Australians know of Simpson and his donkey, who became heroes at Gallipoli, even among the turkish forces. Few know where the donkey came from, or what happened to him after World War I. Or that another man carried on rescuing the wounded with the donkey after Simpson died. This is the story of a small unassuming donkey. It's also the story of Gallipoli, of Jack Simpson, and New Zealander stretcher-bearer Richard Henderson, who literally took up the reins after Simpson's death. Exhaustively researched, it gives a new depth to our understanding of this story of Anzac heroism. 'Jackie French is excellent at telling history in an exciting way for children', writes Burke's Backyard.